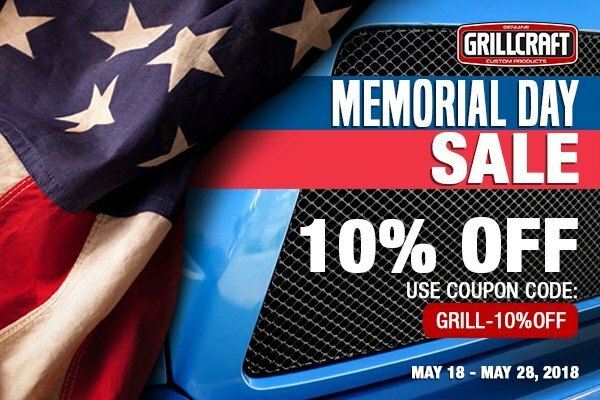 Receive 10% off on GrillCraft Grilles at CARiD - Promo code - Ford F150 Forums - Ford F-Series Truck Community. To pay respect to all those who have lost their lives serving our country, this Memorial Day CARiD welcomes you to discover an amazing offer from GrilleCraft. The company specializes in manufacturing and designing of mesh and billet custom grilles, which are guaranteed to transform the appearance of your truck greatly. Durable and unique, they will add the right touch on the front end of your truck and impress you with the years of the clean look. This is the limited time offer, valid until the May 28. Shop more Memorial Day weekend sales at CARiD. Watch new video review on Gauntlet Wheels from Hostile!